#2 - Are you the same person you were last year? Five years ago? Ten years ago? Tell us how you have (or haven’t) changed.Ten years ago I was determined and unstoppable, or so I thought. I returned to America from living nearly two years in Japan. I had an awesome time stretching my wings and learning more about the world. Five years ago I move to another state. I had been married for a few years and finally felt like an 'adult'. I have always lived in a different state from my family, but as a newly wed looking to start a family, I finally felt a pinch about being hundreds, if not, thousands of miles from my parents, sibling and cousins. One year ago my life drastically changed. After interviewing my friend whom was adopted 38 years ago and woman who is a birth-grandmother of a 21 year old, hubby and I decided to adopt a baby. One year ago we finished our home study and was flabbergasted by how quickly the transformation into parenthood was going to take place. Welcome!I've met so many people over the past 2 months. It was such a pleasure swapping pictures, comments and even suggestions. I want to thank you all for dropping my blog. 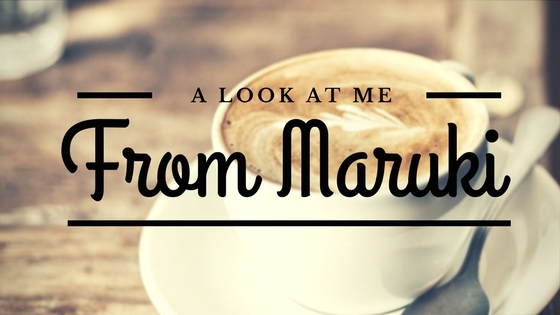 I wanted to take the next few Fridays and share a little about me, my husband that I call Mr. Mind and Baby E.
If you want to know more about me, please feel free to drop me a message or check me out on Twitter and Instagram. #1 Do you make your bed when you get up in the morning or leave it since you will just mess it up again that night? I make our bed when I wake up in the morning. It seems like a silly concept to make especially if you leave the house all day. But it is so refreshing to return home and there, in the center of the bedroom, is a made bed.